Puhi Theatrical Warehouse is located at 4411 Kikowaena Street, Puhi, Hawaii. The playhouse is located across from Kauai Community College, 100 yards behind the Harley Davidson store. The theatre is in a warehouse. On play nights, watch for the lighted marquee. Head west on HI-50 W/Kaumualii Hwy toward Kauai Community College. Turn left onto Puhi Road. Take the first right onto Leleiona Street. Take first right onto Kikowaena Street. The theater is on the left. Head east on HI-50 W/Kaumualii Hwy toward Kauai Community College. Turn right onto Puhi Road. Take the first right onto Leleiona Street. 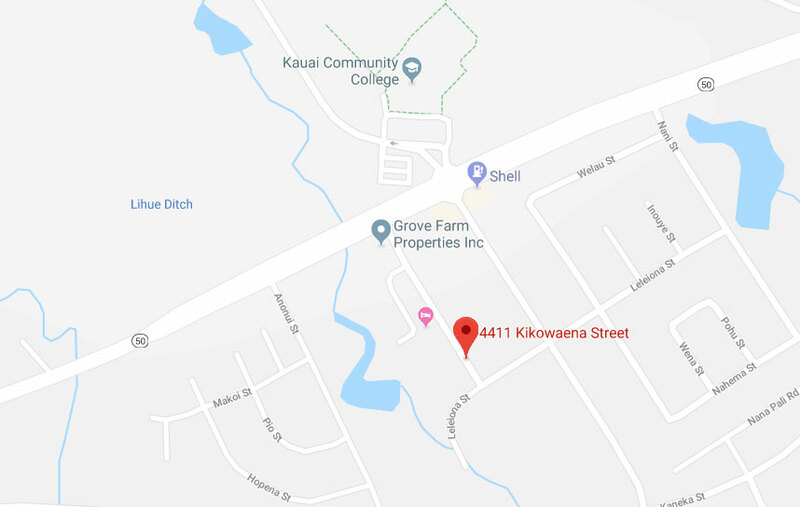 Take first right onto Kikowaena Street. The theater is on the left.